Lloyd Stowell Shapley (/ˈʃæpli/; June 2, 1923 – March 12, 2016) was an American mathematician and Nobel Prize-winning economist. He contributed to the fields of mathematical economics and especially game theory. Shapley is generally considered one of the most important contributors to the development of game theory since the work of von Neumann and Morgenstern. With Alvin E. Roth, Shapley won the 2012 Nobel Memorial Prize in Economic Sciences "for the theory of stable allocations and the practice of market design." 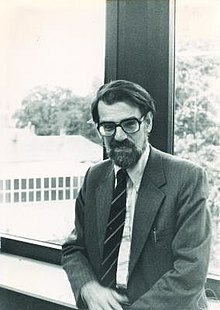 Lloyd Shapley was born on June 2, 1923, in Cambridge, Massachusetts, one of the sons of Martha (Betz) and the astronomer Harlow Shapley, both from Missouri. He attended Phillips Exeter Academy and was a student at Harvard when he was drafted in 1943. He served in the United States Army Air Corps in Chengdu, China and received the Bronze Star decoration for breaking the Soviet weather code. ^ Roth, A.E., Introduction to the Shapley Value, in "The Shapley Value: Essays in Honor of Lloys S. Shapley", Cambridge University Press, 1988. ^ a b "Lloyd Shapley, a Nobel laureate in economics, has died". The Economist. ISSN 0013-0613. Retrieved March 13, 2016. ^ Roth, Al (March 12, 2016). "Lloyd S. Shapley 1923– 2016". Market Design. Retrieved March 13, 2016. ^ "MARTHA BETZ SHAPLEY". The New York Times. January 27, 1981. ^ a b "Lloyd S. Shapley – Interview". Nobel Media AB. Retrieved March 13, 2016. ^ a b "Princeton alumnus Shapley wins Nobel Prize". Princeton University. October 15, 2012. Retrieved March 13, 2016. ^ Hausner, M., Nash, J. F., Shapley, L. S. & Shubik, M., (1964), "So Long Sucker, A Four-Person Game", Game Theory and Related Approaches to Social Behavior, John Wiley & Sons, Inc., New York. ^ a b Hagerty, James, Lloyd Shapley: 1923-2016, Wall Street Journal, March 19–20, 2016, p. A7. ^ a b "Lloyd Shapley" (PDF). American Economic Association. Archived from the original (PDF) on March 16, 2016. Retrieved March 13, 2016. ^ "Matchmaker in heaven – Lloyd Shapley, a Nobel laureate in economics, has died". The Economist. March 13, 2016. Retrieved March 13, 2016. ^ Diertele, David A. (2013-08-08). Economic Thinkers: A Biographical Encyclopedia. p. 385. ISBN 9780313397479. Retrieved 2016-03-13. ^ a b c d e f "Lloyd Stowell Shapley – Vita". UCLA. Retrieved March 13, 2016. ^ "INFORMS – Fellows Class of 2002". Institute for Operations Research and the Management Sciences. Archived from the original on March 14, 2016. Retrieved March 13, 2016. ^ "Distinguished Fellows". American Economic Association. Retrieved March 13, 2016. ^ List of Fellows of the American Mathematical Society, retrieved July 18, 2013. ^ "Market Design". The Golden Goose Award. Retrieved May 27, 2015.